Welp . . . I've gone and messed up . . . Somehow . 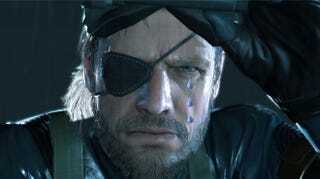 . .
You guys now how I've been no-lifing MGS3, right? Despite having to take the Cobras with a disadvantage, and rushed through everything despite a few setbacks . . . It was all for nothing . . . Since my no-kill/no-alerts playthrough was marred by a SINGLE kill. All that time, for nothing.